In the fall and winter (and honestly in every season), my favorite room is our cozy bedroom. It’s a pretty tiny room, but that just makes it feel like a little nest. It’s my cocoon, my comfy spot to retreat from the world and the place I look forward to going at the end of every single day. Maybe I’m just getting old, but on a chilly fall night there’s no place I’d rather be than snuggled up right here. We still dream about a new bed frame (we have been borrowing one from my mom for years now) and we need a new mattress (we’ve been using our old guest room mattress for months because we can’t agree on a new one), but still, in spite of our hand-me-downs, we do everything we can to make our bed a cozy and comfy destination. 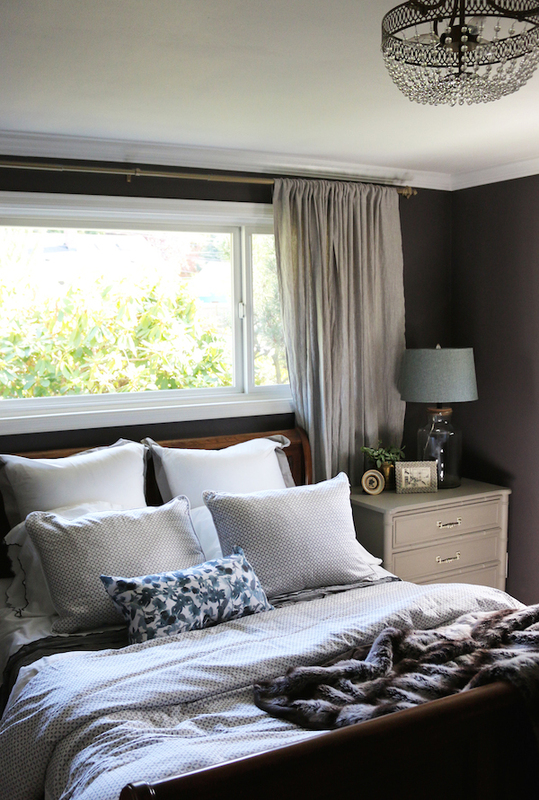 As you might remember from earlier this year, my husband painted our room plum (Black Frosted Plum by Glidden). We still LOVE it! The walls started out yellow, which I’m sure set a cheerful mood for the previous owner, but I was excited to make it our own. Paint is a miracle worker, I tell you, it can almost instantly make a room feel more like you. Since we have such a small room, we decided to embrace it’s diminutive size and make the mood more cozy, moody and romantic. I mean, you spend a good chunk of your life in your room resting and sleeping, right? So why not make it cozy? 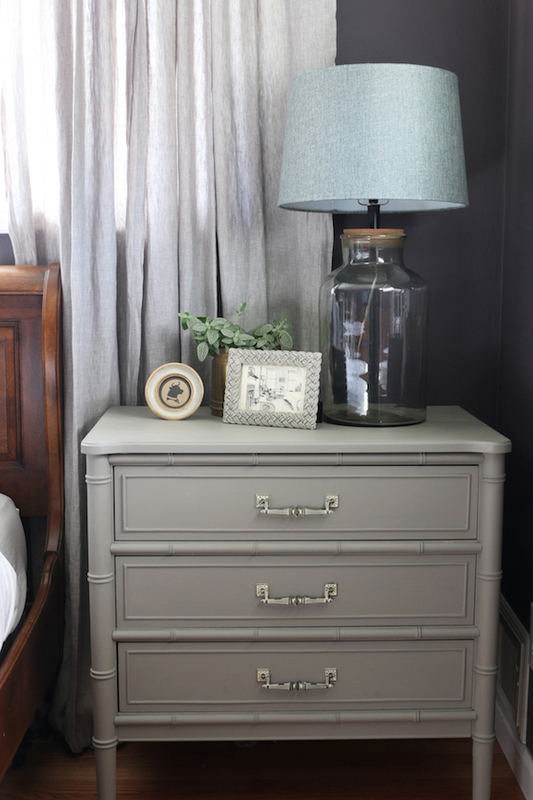 Speaking of paint makeovers, a few months ago I found my husband a dresser to use for a nightstand. I’d searched for months and months for something that would complement mine, but would also suit his taste and needs. Finally I found this vintage dresser and we BOTH love it! I’ll share the before and after makeover with all the details tomorrow. In case you’re wondering, I’ll do an update with all the angles of the room as soon as we finish the other side :). After we got the nightstand, we got distracted by other projects in the house so haven’t come back to this room yet (all we really need right now is a dresser for clothing on the other side of the room, so all in due time). Every decision and especially every big purchase like a mattress or a dresser takes time and money, so we have to be patient and content with what we can do. But there is plenty we can and should do to make our room a sacred space. If you’ve read my books or been around the blog for awhile, you know I believe in making our bed everyday. Make your bed so you can start your day off on the right note. Make your bed so it looks special enough to be in your sanctuary. Make your bed so you’ll be inspired to keep the rest of your room fresh and clean. Make your bed so you’ll love crawling into it every evening. Make your bed so you’ll sleep better at night. Make your bed so it makes you happy all day long. Within the first hour or so that I’m up (after airing out the bed first), I at least messy-make my bed. Meaning, I throw the covers and blankets up and toss the pretty pillows at the head of the bed. That’s it! It’s not perfect and that’s OK with me. Messy bed making for the win! Honestly, though, my dogs often sneak in shortly after I make the bed and toss all the pillows on the floor like it’s their job. Kind of like toddlers, but with fur. So there’s that. Fortunately I usually I catch them and can run the pups out of the room before they throw the linens on the floor, too. Actually, if I didn’t make my bed, I’d have dogs curling up on my sheets! So I rest my case on the value of bed-making. Besides the many benefits of bed-making in the morning, I fully believe and have shared many times that making a bed with pretty linens and quality sheets makes a difference. Not only do I think I really do sleep better on quality sheets, but when I make it a priority for the bed to be pretty and luxurious, it makes our room feel special and more like our sanctuary. And I always always feel more inspired to take care of a room that feels special to me. I’ll admit though that I’m always a bit nervous when I am shopping for new bedding. Who else gets intimidated by what sheets to buy? We usually only own one or two sets of sheets at a time and I don’t want to invest in a set we don’t love. I haven’t had a really good new set of sheets I could recommend in awhile. When Crane and Canopy offered to send me a set of their sheets and a duvet cover awhile back, I was a little hesitant since I had never had that brand before. I’m often asked what sheets I use and I wouldn’t steer anyone wrong if I didn’t like them. I usually spend forever touching the samples or researching the reviews, fabric and thread counts and even then I’ve bought sheets I don’t like and would never buy again. I’m picky about sheets! I’m happy to say I am 100% happy with our new sheets, shams and duvet cover from Crane and Canopy. In fact, I LOVE THEM! They are SO SOFT and luxurious feeling. My husband hardly ever notices or comments sheets or bedding I use to make our bed (although he does comment that he loves that I make our bed! ), but he immediately noticed how nice these were and even pointed out liking the detail of the scallops on the sheets. He was impressed. I love that scalloped detail, too. I’m impressed that Crane and Canopy designs and delivers high quality 100% cotton bedding without the middleman so they can offer the best possible price without sacrificing the quality. Their weaves range in the 300-400 thread count, which is the thread count that in my research delivers the quality and softness I expect. Their duvet covers are offered in a variety of pretty colors and stylish (and even reversible!) patterns. 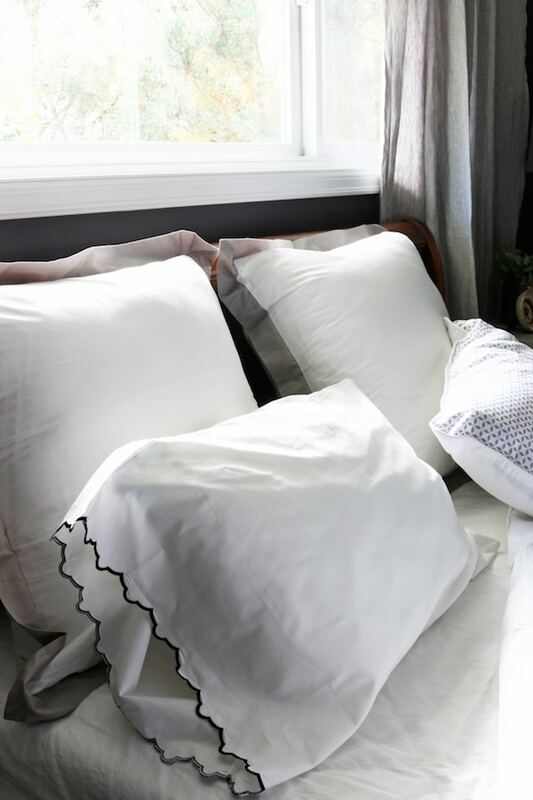 They are machine washable and have corner ties, easy care zippers, and quality details like piping, Crane and Canopy duvet covers can also double as a top sheet, saving you the hassle of an annoyingly messy bed or tangled top sheet. They also sell their sheets separately so if you don’t use a top sheet you don’t need to purchase one. That means you can mix and match your bedding for your own personal look, which I think is fun, don’t you? Trust me, their products really do make your bed feel and look luxurious, so I’m happy to recommend them. I’m a new fan! 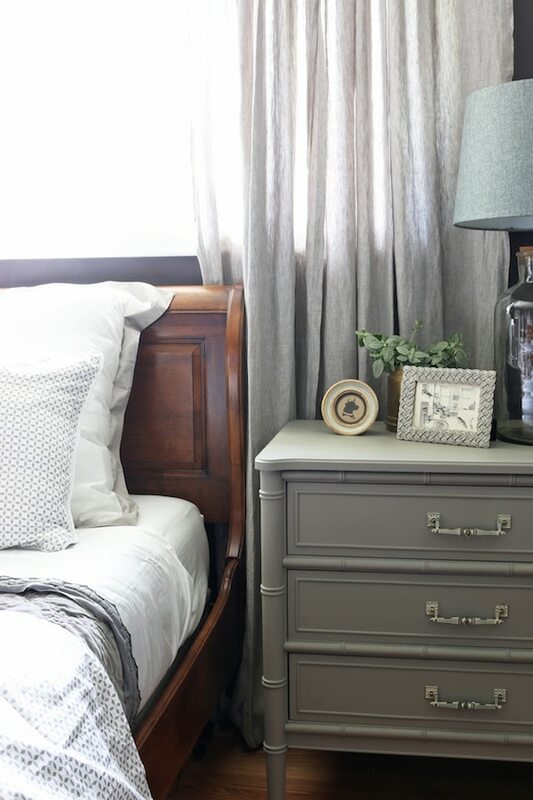 How you make your bed will make a big difference in your day, so maybe this fall will be the season you decide to cozy up your bed and make your room your sanctuary, too. 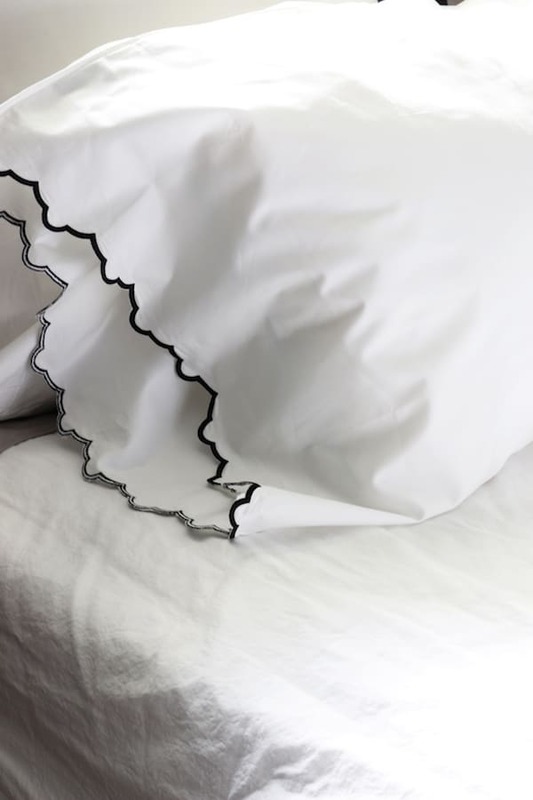 Ellis Grey Duvet Set & Luxury Scalloped Sheets: Crafted from premium cotton and woven in a silky-soft 400 thread count single pick and single ply cotton sateen. PS. Thank you so much for all of your very kind comments on my Fall House Tour yesterday! If you missed it, you can take the tour here! 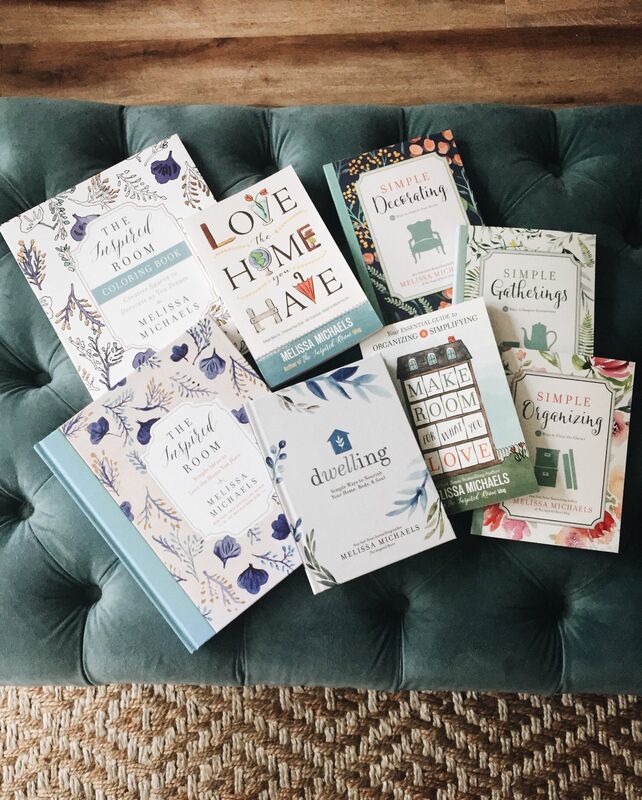 Check out my decorating, homemaking and organizing books here! I love making my bed! It’s a little different each time because I rearrange the pillows. I also change the spread, coverlet, pillows, etc., for the winter; same colors, but heavier materials. I let my bed cool off, however, making the bed after breakfast. I think this keeps the linens fresher by airing them out. Making your bed every morning is a definite must. It just makes everything seem so much neater and I agree, makes you happier. I’m so glad you discovered Crane & Canopy. I purchased one of their duvet sets and it’s still heavenly and gorgeous on my bed. It definitely makes making one’s bed easier! Very pretty room. The dark walls are perfection! You said your bed is borrowed from your mom, and from the images, it is Beautiful! Maybe she will let you keep it permanently! 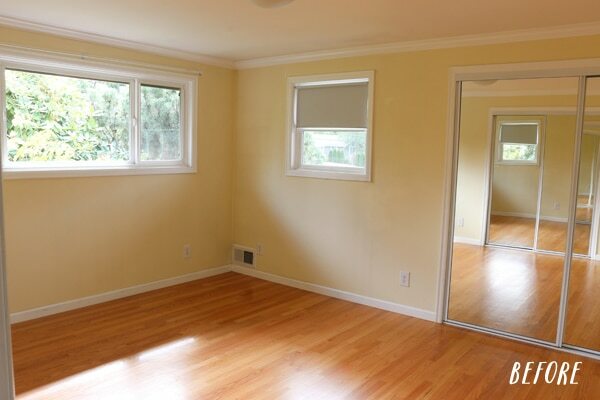 I am curious about your mirrored sliding closet doors. We have these in 3 bedrooms. Have you done anything to alter them? Since ours are not in the master bedroom, I have not been too bothered by them. How do you feel about them? Any ideas for change? I really enjoy your every posting. Hi Sylvia, I would probably be bothered by them if they were on the bed side of the room. Ours on on the other side so I actually find them useful for getting ready and for reflecting light and expanding the size of the room! I may replace them someday , but they haven’t been on the top of my project list yet so I don’t have any ideas right now :). I have always made my bed. It’s a feeling of starting the day fresh. I am with you sheets make a difference. I had a set we loved and wore out. I went shopping for new sheets only to discover what a difference a sheet can make. I have so many cute sets that feel awful. They quickly left the house ad the search continued. I found a set that We loved,after washing we still loved them. I bought another set. Well everyone got a set for Christmas that year. All commented how wonderful. Well again another set wore out and I feared I would never find a great set again. I received a set for Christmas..1000 thread count they were so slick and uncomfortable. I tripped over a set recently and fell in love again. Who knew sheets were so difficult to find. 50 years of marriage I guess you do go thru sheets. I’m a bed maker too! I am wondering if these sheets wash up and dry so they don’t have to be ironed? Do they stay silky after washing? I have had several sheet sets that feel great out of the package but turn into something just short of flannel after washing. Oh yes, I am a textile person and need fabulous sheets. 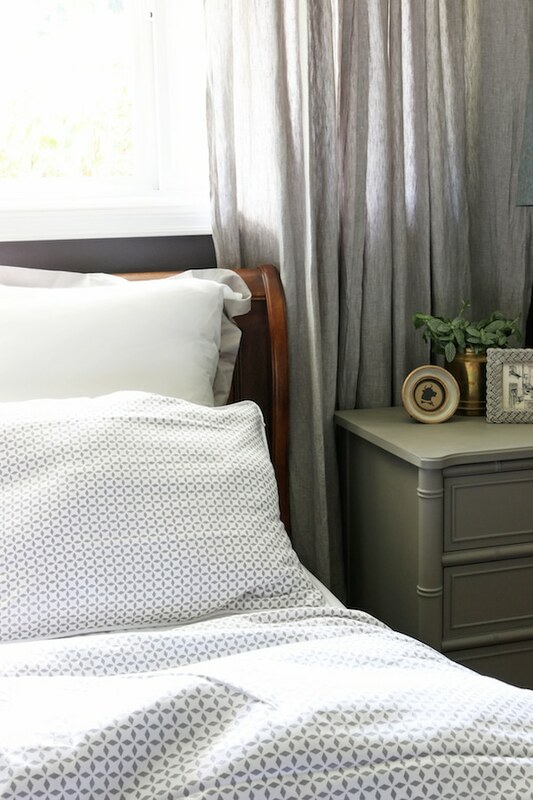 Love having the bed made every day and would be thrilled if someone would wash and change the bedding daily (weekly for me, but wouldn’t it be nice to crawl into fresh sheets every night?) Best sheets I’ve had were Charisma about 25 years ago from Macy’s. They are not the same now. I roll a lot at night and wear out the shoulder area so need soft, but sturdy sheets. I also have several duvets and change them out with the seasons – glad I’m not alone there. I’ll admit to ironing my sheets and pillowcases fairly regularly – heck, I’ll even iron my dish towels while I’m at it. Just takes a few moments. We are mattress hunting also so will be hoping to hear of any success you have. Love what’s happening in your home. I agree 100% with you about making the bed every morning. It does set the tone for the rest of my day and I feel happy when I walk into the room for something or just walking by it – a glance in makes me smile. I, too, am SO picky about my sheets. I have two sets that I have babied for a very long time – even to the point of doing some mending at the top edge of the top sheet. And, I haven’t found any that I felt sure that were perfect for me so I continue to take care of what I do have. I enjoy your blog very much and I think it’s because I share so much of your approach to decorating. I do get emails from crane and Canopy, however, I wish they sold comforters too, and not just duvets. I’ve never had a duvet, but it just seems like a hassle, getting that comforter into it. To much work. That’s just me, though. Your room is cozy. Wow! I loved the way you added class, mood and romance to your small bedroom. Like you, I also love to make my bed in the morning daily by setting up quality sheets. The designs of sheets that you shared are really awesome. 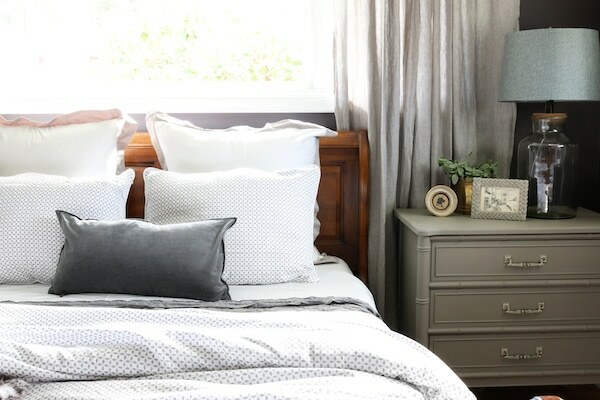 Your tips to make bed will help us all to add elegance and luxury to rooms. I just bought a Crane & Canopy Duvet. The style is Nova with the appearance of a flat sheet. I must say, I was hesitant to purchase a duvet but the quality of the Crane& Canopy duvet is amazing. It is very luxurious. I too am a sheet fanatic. I buy white percale sheets from schweitzer linens and have them starched and ironed at the cleaners. I have Porthault pillow cases which I iron myself. I LOVE my bed. There’s nothing cozier than an already made bed! When we’re in a rush in the mornings, it’s all too easy to skip making it. But the end result is definitely worth it! There’s really nothing like coming home to a made up bed! It just makes home so much like home, you know what I mean? My husband complains a little about all the throws I add to the bed but I know he loves seeing our bed made up too! The bed and room are beautiful. I’m curious if you have decided on a mattress? Would love to have your input.